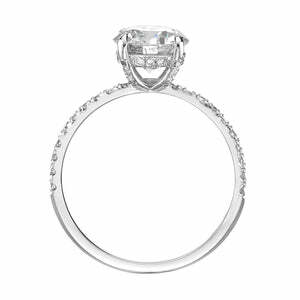 This gorgeous 1.50ct round brilliant cut diamond solitaire has such an outstanding size and quality combination for the cost. 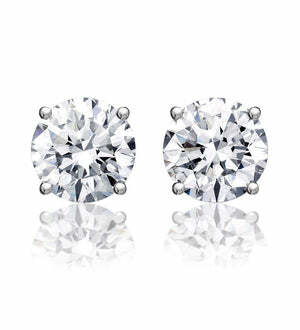 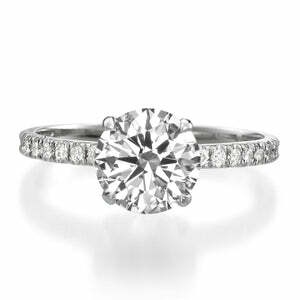 This 1.50ct round brilliant cut diamond is IGL certified at H color and VS2 clarity enhanced. 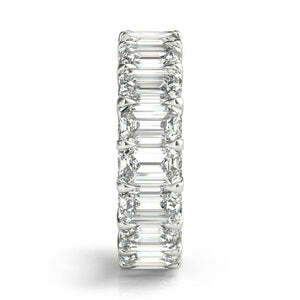 It is white, very clean and exceptionally brilliant! 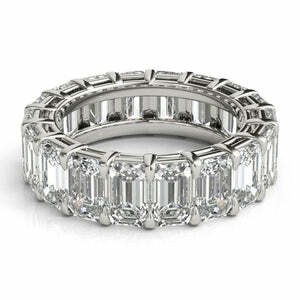 The diamond displays immense brilliance due to it's top grading of a 3X Excellent cut grade. 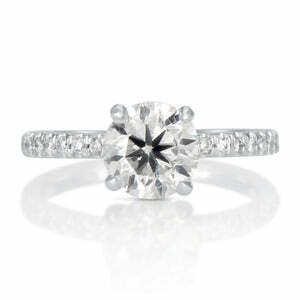 It is set on a razor thin 14k rose gold six-prong solitaire. 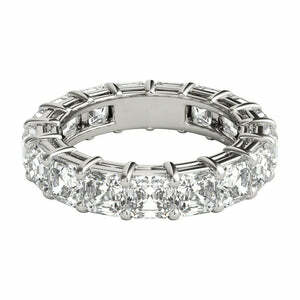 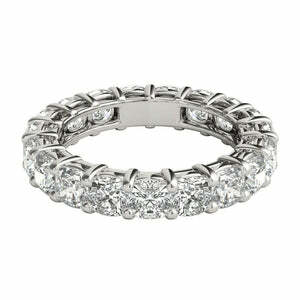 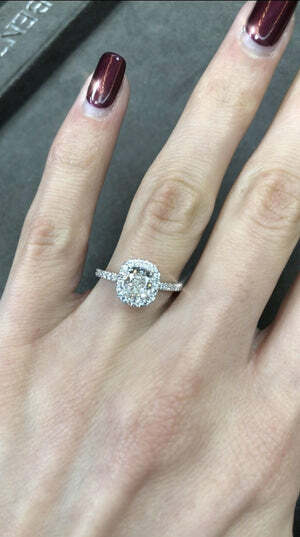 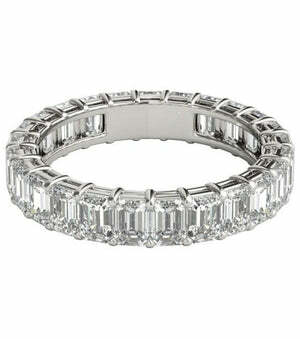 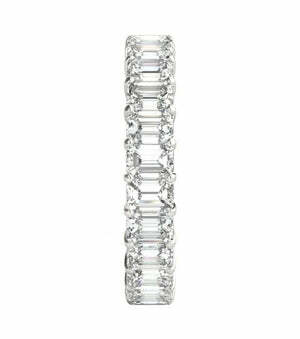 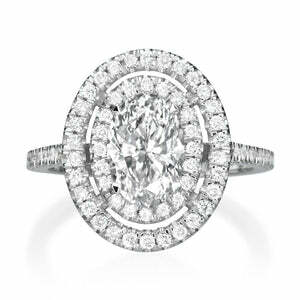 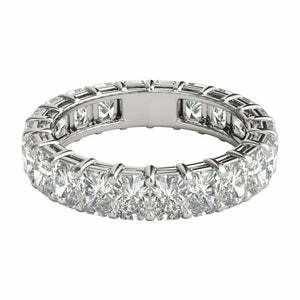 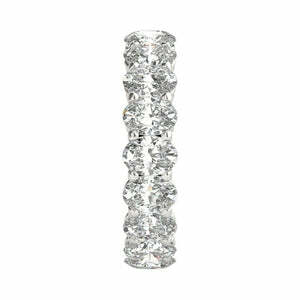 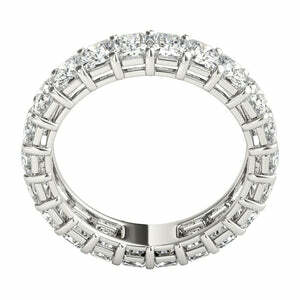 This ring is truly a dream come true and created with elegant presence in mind.